Beautiful Pakistani Actress Sanam Saeed which is famous for her Tv Shows Like "Zindagi Guljar hai " & "Ranjish" on Zindagi tv in India . 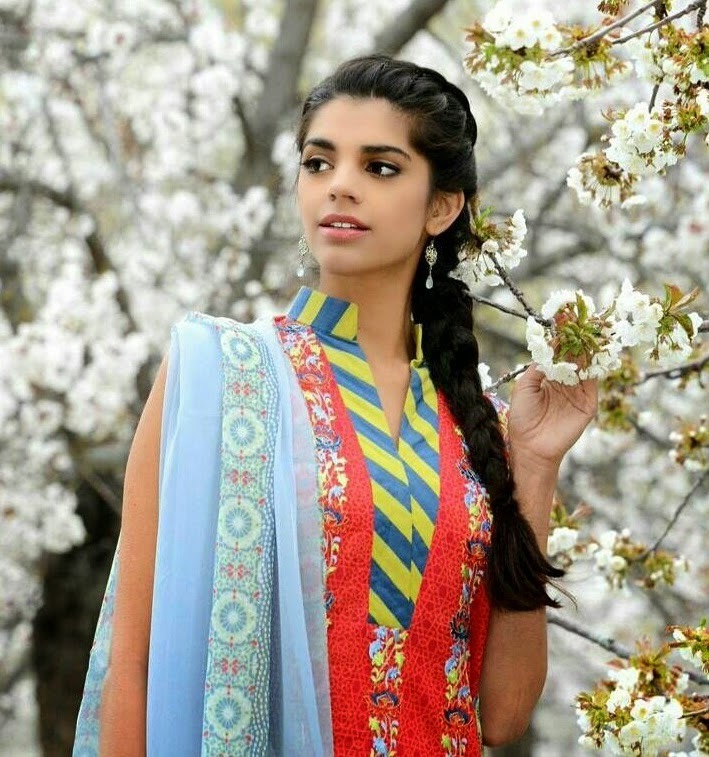 Sanam Saeed is soon going to Play a Character of Indian Girl in a Bollywood movie which is directed By Nasir Khan. She will be seen in Nasir Khan's Upcoming Bollywood romantic thriller film “Bachaana”. She will be playing lead role in this film. “Bachaana” is a journey of a sweet and bubbly Indian girl Aalia, played by Sanam, who undergoes a series of unfortunate events and is forced to place her faith in a man she hardly knows. That man, Vicky (Mohib Mirza), is a Pakistani driving a taxi in Mauritius. The film, set to hit screens both in India and Pakistan, follows the couple’s adventurous journey of love. Sanam says that through this movie, she is trying to bridge the gap between both the countries. “I thoroughly enjoyed the script and Aalia’s character. She was very unlike the roles I had played before. All of us, in whatever way we can, are wanting to and trying to bridge the gaps and differences between India and Pakistan,” she said in a statement. “We have been die-hard fans of their (Indian) movies for decades, and now they are enjoying our storytelling through the small screen. Our actors are crossing borders and so are our stories now. And that is what I saw in 'Bachaana'. The film is light and easy. I was really enjoying getting into Aalia’s character with the mannerisms, clothes and diction,” she added. Sanam also says that she had references and advice on Indian girls from the team they were working with. “At the end of the day though, Aalia is a south Asian girl that I am very familiar with -- whether she be Indian or Pakistani. This is a contemporary, easy, breezy, feel good rom-com. I’m sure audiences for India and Pakistan will both enjoy this fun zesty story,” she said. “Bachaana”, produced by Rizwan Saeed, is the first feature film of Nasir Khan as a director; he gained prominence at the Mumbai International Film Festival for his documentary “Made in Pakistan”. With cast and crew from both Pakistan and India, the film is said to have captured cross-border relations on and off screen. Filmed in Mauritius, the production team conducted a large talent hunt to find actors in the neutral landscape. “From the script to the actual shoot in Mauritius, it truly has been an adventure and if I were to sum up the film in one line, I would use the following dialogue from the movie “Ladki Hindustani ho ya Pakistani, ladki ladki hoti hai (A girl is a girl, whether she's an Indian or Pakistani,” said Nasir Khan.